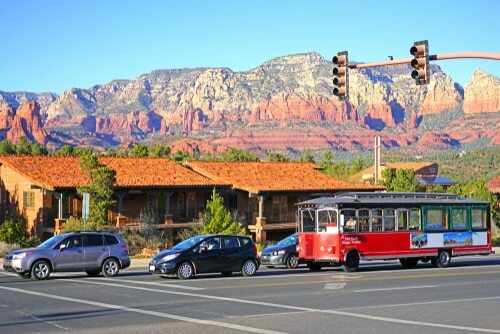 Sedona’s iconic red rock backdrop has long been a classic setting for western films, and only recently has the city become a tourist attraction. But, if you’re not familiar with Sedona — make no mistake about it — geographically and culturally, Sedona is not your typical desert town. 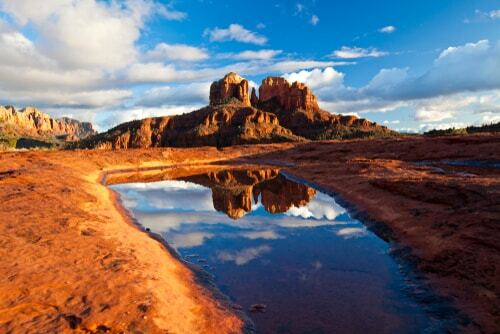 Situated at 4,350 ft above sea level in Arizona’s high desert, Sedona’s 1.8 million acres of Red Rock Country is blessed with a mild climate, making it comfortable to visit year-round. 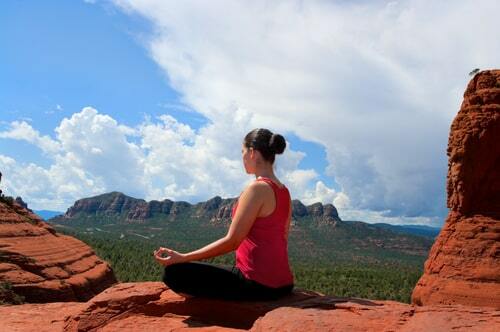 Aside from its geographical advantages, Sedona is well known as a spiritual refuge for travelers seeking otherworldly experiences and as an outdoors destination for hiking, cycling, rock climbing, and much more. In May 2003, USA Today called Sedona “the most beautiful place on earth,” and since that day, tourism has steadily grown in popularity. This red rock oasis now draws 3 million visitors annually, which is a lot for a town with just over 10,000 residents and four stoplight intersections. You might be thinking Sedona doesn’t sound underrated at all. And you’d be right, but Sedona still lives in the shadows of similar nearby attractions like the Grand Canyon and Zion National Park. 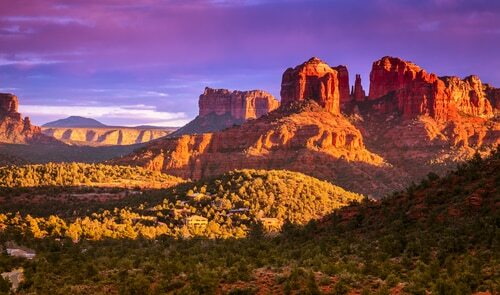 In fact, we asked over 1,000 people what U.S. destination they consider to be the most underrated, and Sedona topped the list with 28 percent of the vote. If a trip to the desert is not your cup of tea, and you’re looking for more of an urban adventure, consider booking a trip to the runner-up, Seattle, WA. The increasingly popular Emerald City came up just short at 25 percent of the vote. And it’s no surprise why with the beautiful hillsides, and lively culture that northwest locals know best. The underrated likely comes from fear of the Pacific Northwest squalls that tend to come through. However, with that moisture comes a lively beauty in nature. While Sedona is still considered a well-kept secret, now is your chance to see what all the hype is about. If you still need convincing, here are six reasons to plan a trip to Sedona as soon as possible. Let’s start with the obvious: It’s #beautiful. Carrying the weight of a title like “the most beautiful place on earth” has turned Sedona into a trendy Instagram destination (with over 1.2 million “#Sedona” public Instagram posts and growing). Whether you’re hiking, driving, or cycling, you’re likely not far from a breathtaking view. 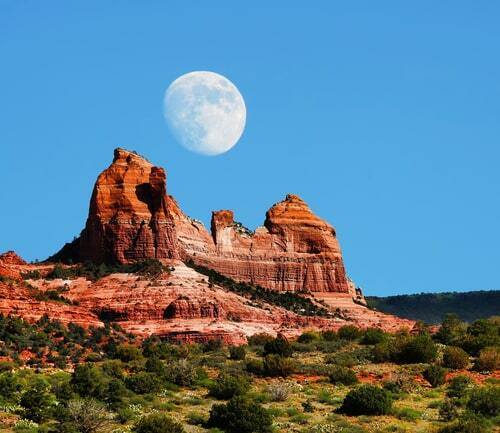 A few of the most photogenic spots in Sedona are Cathedral Park, Schnebly Hill vista, and the Red Rock State Park. It’s even beautiful at night. Stargazing in Sedona is exceptionally good, but only thanks to the efforts of local residents and strict city ordinances. 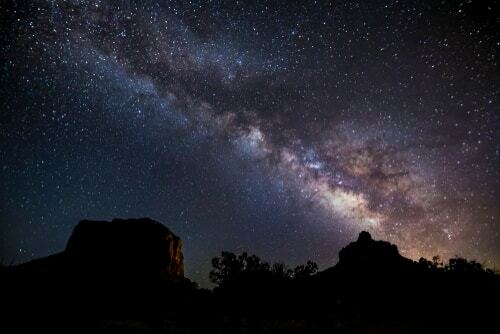 In recognition of Sedona’s efforts to limit light pollution, the International Dark-Sky Association designated the city of Sedona as the world’s eighth official International Dark Sky Community in 2014. Limiting light pollution wasn’t only meant for preserving the perfect stargazing conditions, but rather to preserve the daily cycle of light and dark rhythm. According to the International Sky Community, evidence shows that artificial light at night has negative and deadly effects on many creatures including amphibians, birds, mammals, insects and plants. The spiritual vortexes are for real. Many who visit Sedona are on a journey of spiritual awakening, but if you guessed it, the town isn’t known for its big churches. Rather, spirituality is found in nature and its ancestral past. The famed vortexes, where “heightened spiritual and metaphysical energy can be found,” according to Sedona’s main travel site. The most well-known vortexes are well-documented, and often visited by tourists on guided tours. But rumor has it that many vortexes are scattered throughout red rock country and kept secret by locals. It’s unclear exactly how many vortexes there are in Sedona. The climate close to perfection. Arizona often gets a bad rap for its hot climate, but that’s not the case in Red Rock Country. Thanks to Sedona’s position in higher altitude, the climate a much milder than sea level. Although Sedona can get very hot in July and August, and even see a little snow in the heart of the winter, you can avoid the dreaded desert heat late in late Spring and early Fall. The arts scene is impressive for a small town. If you’re looking to be inspired by something other than Sedona’s great outdoors, try taking a stroll through town to view the unique artwork displayed at over 80 galleries. If you’re here in the fall, you can catch the annual Sedona Arts Festival is held in October. But for the true art enthusiast, a must-visit in Sedona is the Tlaquepaque Arts & Crafts Village, a landmark since 1970 with a collection of over 40 galleries. You could spend all day exploring this magnificent space, and even grab a bite at one of the adjacent restaurants. World class hiking and mountain biking scene. Sedona mountain bike and hiking trails are ridiculously fun and varied. Many think of Moab, Utah as the apex of red-rock desert riding and hiking, but think again. Trails in Sedona range from easy to very hard with diverse terrain and elevation gain. These trails offer a chance for everybody to experience the astounding scenery. Where else should you go on vacation? For some, the dry air of the southwest, or the potential wet climate of the Pacific Northwest might not excite you, and you’re not alone as survey respondents spread across the country for their most underrated tourist destination. With 22% of the votes, Nashville, Tennessee gave a fighting chance from the heart of the South. Known lovingly as Music City, USA, Nashville has become the home of country music. On any given night you can walk down the streets and jump from bar to bar with a live music scene of all sizes. And while Nashville is synonymous with the fame of Johnny Cash, Dolly Parton, and Taylor Swift to name a few, it is not all country all the time. Due to its central location, tours from all genres stop through the city and are welcomed with open arms. Coming in a strong fourth place in the survey is Salt Lake City, Utah. Once known as the utopia of Mormonism, it has grown out of that humble identity to become a focal point of outdoor recreation. With world class resorts drawing skiers and snowboarders from around the world to the slopes and champagne powder of Park City, Deer Valley, Alta, Snowbird, Powder Mountain, Brighton, Solitude to name a few, the winter hums with life in the Wasatch mountains. However, when the snowpack recedes, hikers, mountain bikers, rock climbers, kayakers, rafters, and fishermen descend on the region like moths to the glow of a streetlamp. If nature is your church, the greater Salt Lake City region is a pilgrimage you have to make. If forging your own path, and avoiding the traps is the travel game you play, check out one of these superb destinations for an underrated vacation you won’t forget. Follow @VacationRenter for our #PerfectRentals and more results from our nationwide survey!